Dr Joyce Magor died on 16 August 2015 aged 82. A long-serving Fellow of the Society, Joyce was a world-renowned expert on the forecasting and management of migrant pests, in particular, the Desert Locust, Schistocerca gregaria, a devastating pest of agriculture from West Africa through the Middle East to South-West Asia. After attending Haberdasher’s Aske’s School, she graduated in Geography from the University of Edinburgh in 1956 and joined the staff of the Anti-Locust Research Centre [A-LRC] in London. The A-LRC was responsible for the international co-ordination of locust research, information exchange and control campaigns and Joyce joined the Geographical Section, which had pioneered the mapping of locust records in order to compare seasonal changes in locust occurrence on a continental scale. The work also meant looking at aspects of weather and climate which might explain the movements of locust swarms and account for the inception and termination of plagues. As part of this research, Joyce gained her Ph.D. in 1962 from the University of Edinburgh for her thesis on the effect of rainfall on the geographical distribution of Desert Locust breeding in India and Pakistan. The forecasting system developed from the cartographic analysis of Desert Locust reports was later adapted to other pest species and in the 1960s, Joyce worked in Australia, analysing and mapping reports on the Australian Plague Locust, Chortoicetes terminifera and in East Africa, where she collected and organised data for the pan-African mapping of the grain-eating bird Quelea quelea. In the 1970s, responsibility for Desert Locust forecasting and control coordination passed from the UK to the Food and Agriculture Organization of the United Nations (FAO) and the A-LRC became the UK Government’s Centre for Overseas Pest Research (COPR) with a broadened remit to cover more general aspects of plant and animal protection, and pest management in developing countries. For the next 20 years, Joyce’s research widened to include an investigation into the weather in associated with the spread of the blackfly vectors of Onchocerciasis or “river blindness” in West Africa and research on the migration and distribution of the brown planthopper, a major threat to rice production throughout Asia. Finally, in the three years before her retirement from the renamed Natural Resources Institute (NRI), Joyce returned to her first research interest as the head of a team developing a GIS for FAO to manage locust, weather and habitat data for forecasting Desert Locusts. She also served on a number of international panels of experts on Desert Locust research priorities and coordination. In 1993 she was awarded an OBE in the Queen’s Birthday Honours for her services to locust management and she remained active in Desert Locust research after retirement as a consultant with FAO until eight months before her death. 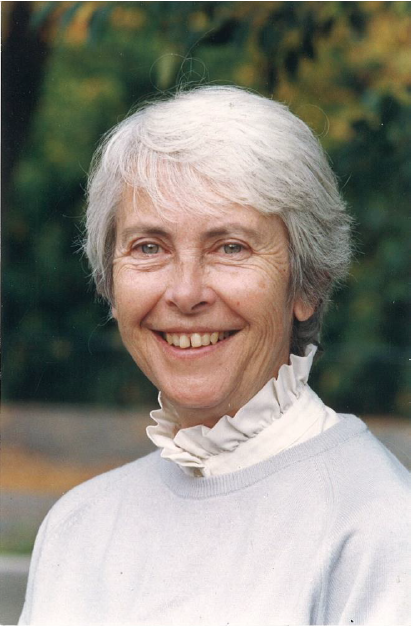 Throughout her career, Joyce was a consummate geographer, with a geographer’s ability to bring together different scientific disciplines to tackle problems. She will be remembered with great respect, gratitude and affection by researchers and operational staff in countries across Europe, Africa and Asia who have benefitted from her patient guidance and her vast experience and knowledge.